Vancouver Island has something for everyone. You just need to know where to look. So what type of island holiday are you looking for? What’s your mood? 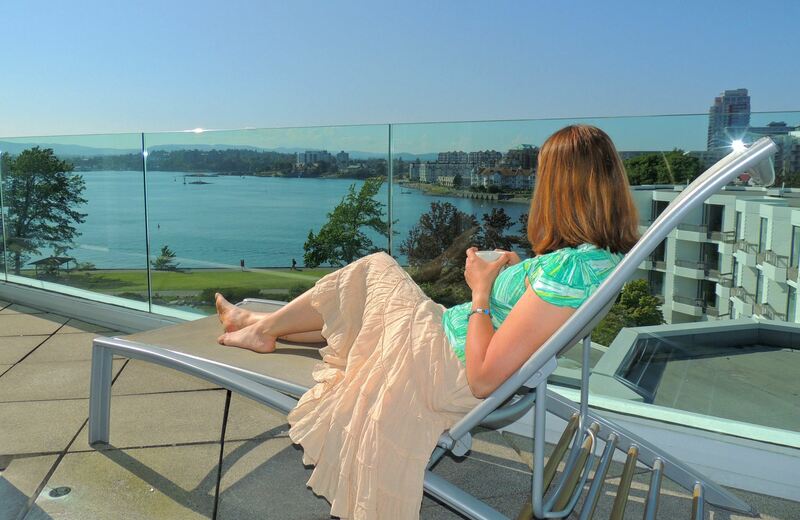 Vancouver Island offers a wide array of vacation accommodations from beachfront cottages and resorts to city boutique hotels and penthouse suites. If you are looking for some of the top places to stay on Vancouver Island you’ve come to the right place. Traveling up and down Vancouver Island we quickly realized there is something for everyone, you just need to know where to look. 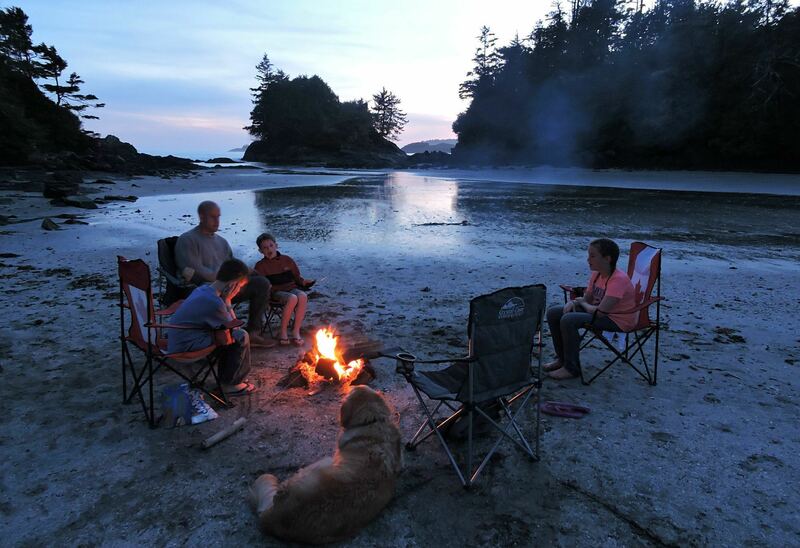 So what type of Vancouver Island holiday are you looking for? What’s your mood? 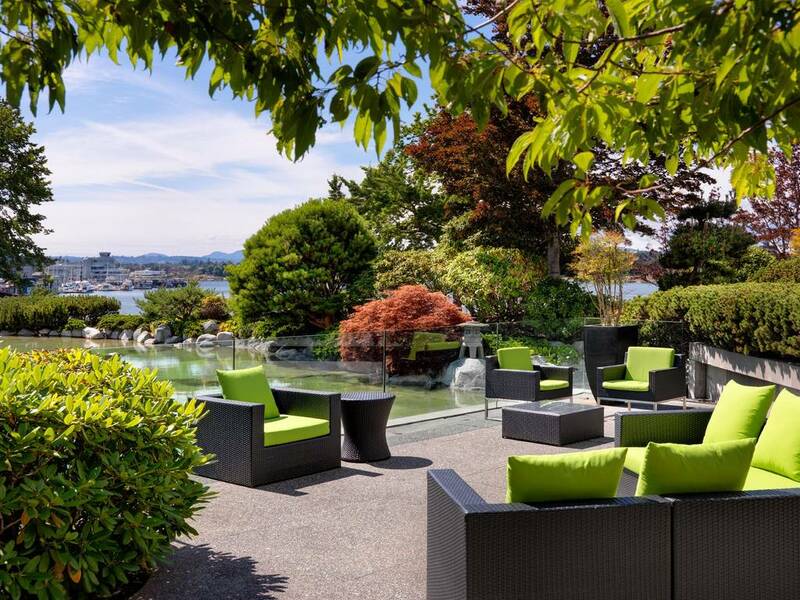 Located on a point that separates the Inner Victoria Harbour from the gateway to the Pacific Ocean, you will find the beautiful Inn At Laurel Point. 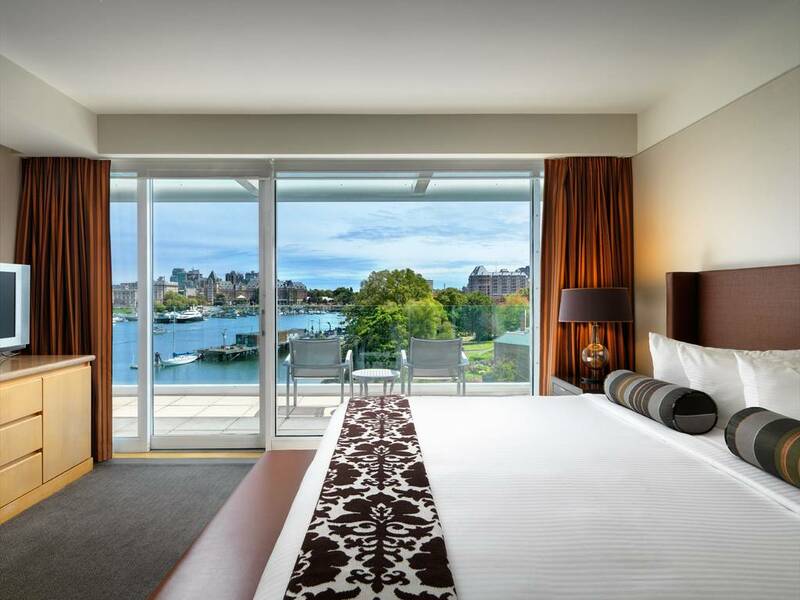 If you like to be close to the action of a vibrant city, but not so close you are in the middle of it then this hotel may suit your mood for your Vancouver Island vacation or getaway. We throughly enjoyed the double ocean view from our luxurious suite. In the evening we relaxed together on the balcony gazing out at the sunset one way and the inner-harbour the other way. The Inn At Laurel Point is one of the top luxury suites we have experience so far in all our Vancouver Island travel. On top of that, we will be hard pressed to find a nicer view from the toilet anywhere. The on-site restaurant “Aura” was superb. We had one of our most memorable romantic meals of our lives here. It wasn’t just a dinner date, it was truly a fine dining experience. Choosing Victoria for your island holiday destination means you are in the mood to never run out of things to do. The South Island Region has much to offer: whether a romantic getaway, or a family holiday. Are you in the mood for a quaint beach cottage holiday? 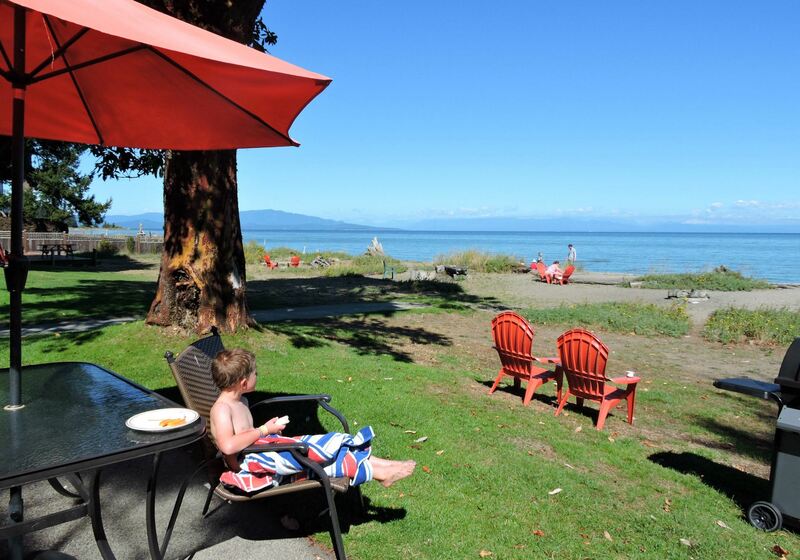 Located in the central region of Vancouver Island you will find a beach town called Parksville. 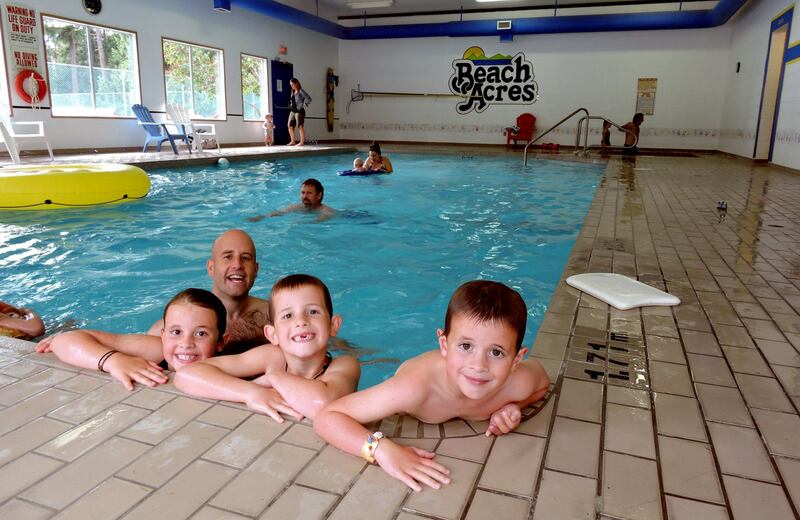 Beach Acres Resort resides on Rathtrevor Beach, one of the top 10 beaches in all of Canada. You won’t find a safer beach for kids anywhere else on the island. You’ll love having evening beach campfires, beach combing in the morning, paddle boarding, and swimming in the warm ocean water. 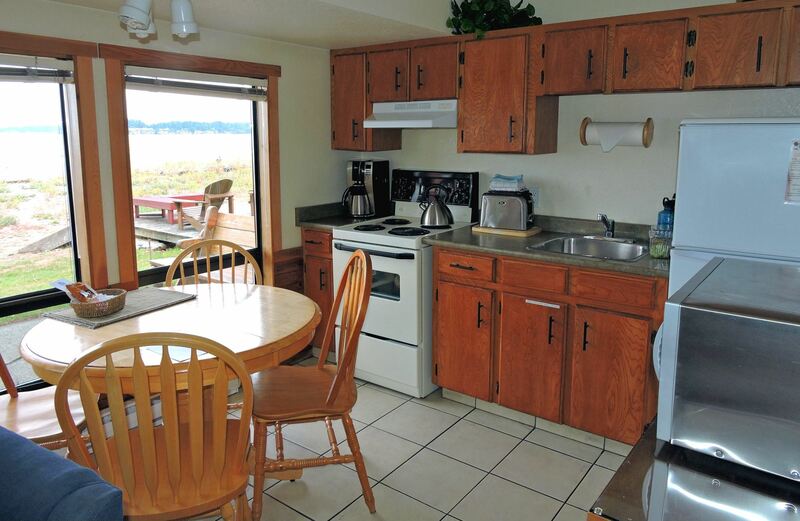 If you are the kind of vacationer who never likes to leave the beach, then this could be the Vancouver Island accommodation that suits your mood. With many Vancouver Island accommodation options to choose from, we opted for a small modest cottage steps away from the beach. The English/Scottish menu of the on-site restaurant the Black Goose, is a must dining experience when in the area. It was originally built in 1921 in the design of a Scottish hunting style lodge so it’s quite unique. 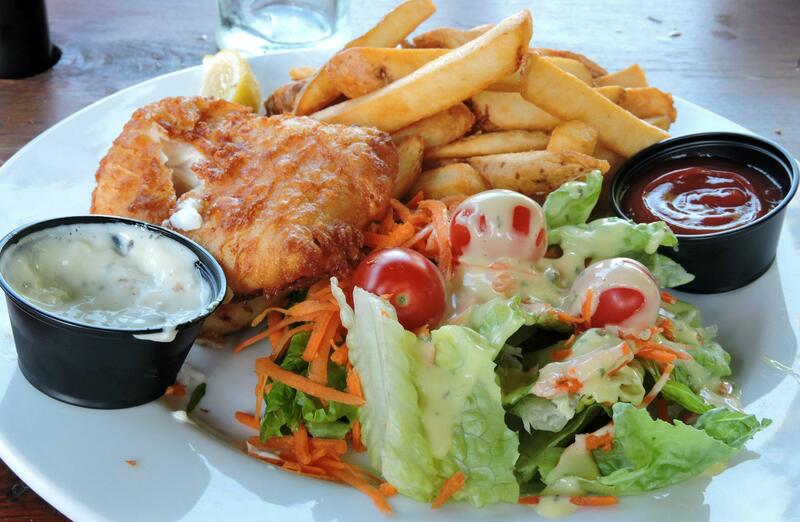 And the halibut and chips, once rated the #1 Halibut on the Island and #2 in all of British Columbia, was superb. 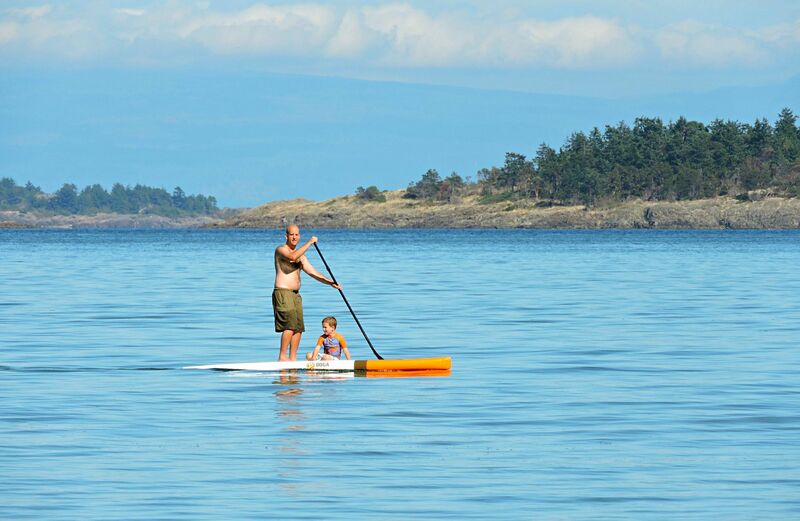 Lots of Vancouver Island family activities to choose from near Parksville: Horne Lake Caves, Miniature Golf & Bumper Boats, Tiger Lilly Farm Petting Zoo, Waterfall Hikes a Parrot Sanctuary and that just scrapes the surface. Located in the Cowichan Region of Vancouver Island you will find the quaint, eclectic seaside down of Chemainus. 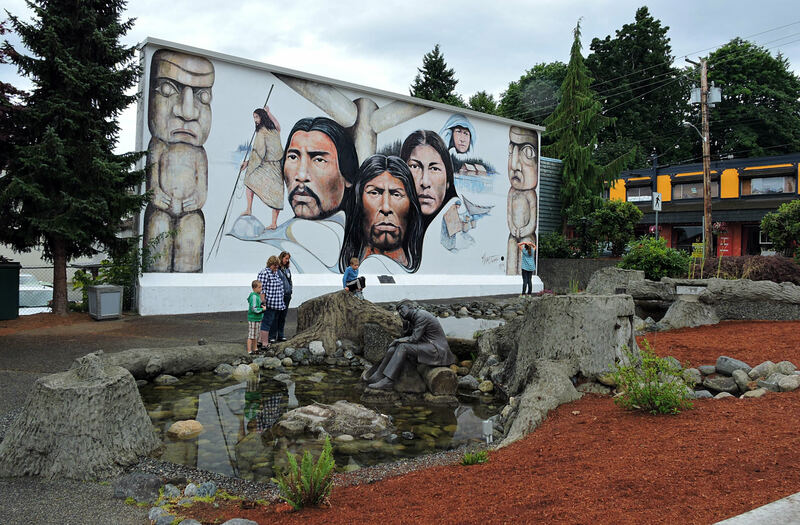 Are you in the mood to explore the world famous Chemainus outdoor mural gallery or how about taking in a live theatre performance? With murals that tell the history of the town and shops that display local artisan’s work and creativity, there is much to see in Chemainus. 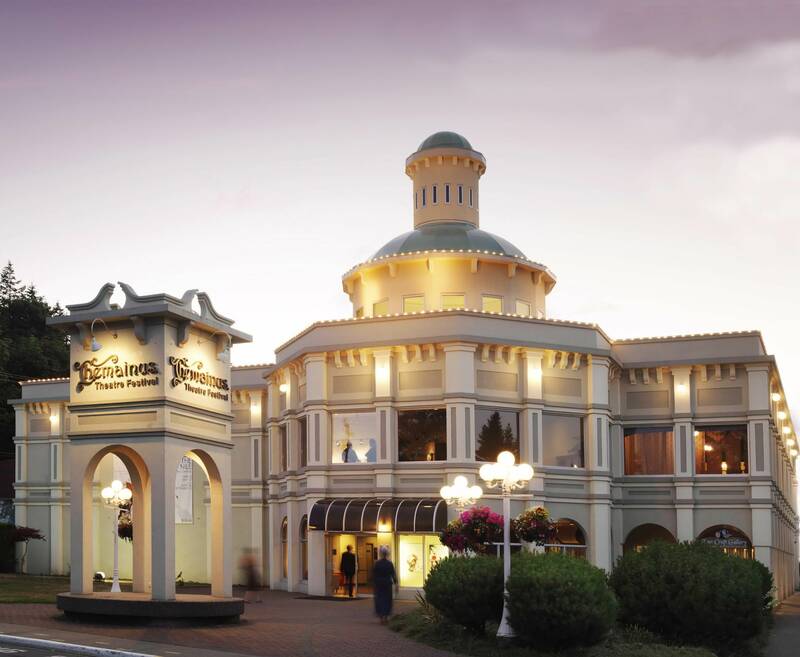 We have never been disappointed with a dinner theatre experience at the Chemainus Theatre. Two of our favourite so far are the classic Les Miserable and Agatha Christy’s murder mystery The Mouse Trap, but it really is so hard to choose. The hotel and theatre have a romantic theatre getaway package that is an excellent value. Maybe it’s time to surprise someone?? Come visit the Cowichan Region for all the attractions and things to do and be sure to stay at the Chemainus Best Western Plus to guarantee a comfortable stay. A continental breakfast is included and you can also get a room with a kitchenette to save on eating out if that’s how you roll. And for you golfers out there, they have you covered with a very nice golf course right across the street. 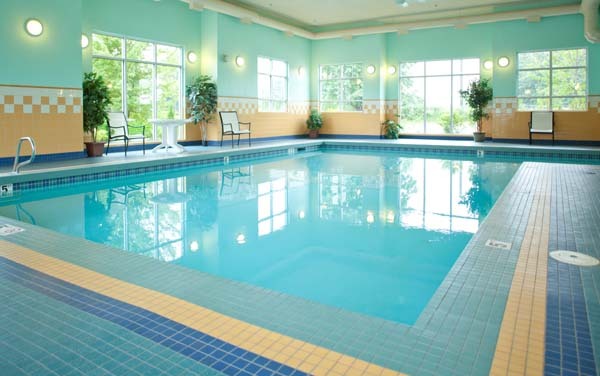 Located in the North Central Region of Vancouver Island in the town of Courtenay you will find Old House Village Hotel & Spa. This hotel’s modern, yet rustic architecture inside and out gives you a warm welcome. 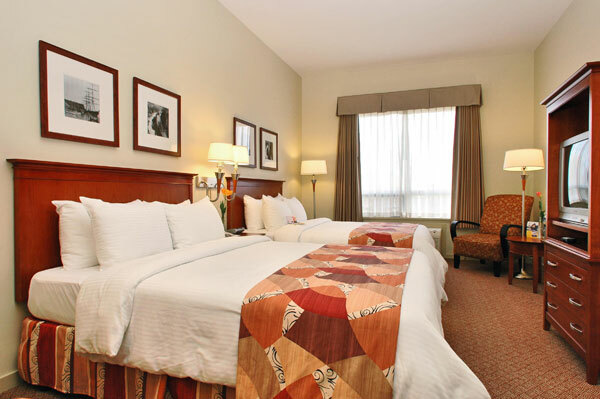 We highly recommend paying a little extra and enjoying one of the suites of Old House Village Hotel. 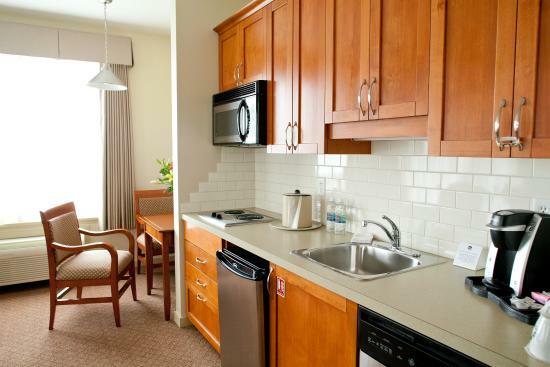 Our one bedroom suite truly felt like a home away from home. Boasting 550 + sq ft with a vaulted ceiling and balcony, it felt very spacious. From the penthouse to deluxe studio rooms, Old House Village Hotel & Spa has an excellent selection of luxurious rooms to meet your needs and your budget. Its outdoor heated pool was the top highlight for our kids. We spent hours upon hours in this pool until we all turned into prunes. Not many Vancouver Island hotels boast this luxury. That was such a treat for these islanders. The on-site restaurant, “Locals” was recently rated in the top 10 restaurants for fine dining in all of Canada on TripAdvisor. The menu passes the test for truly authentic fresh and local island food that makes it stand out among all other restaurants. Oh Spa is the on-site spa at Old House Village which is always a nice convenient perk when choosing a hotel for a getaway. We discovered lots of free activities to do in the Comox Valley and after our 3 night stay we all wished it could have been longer. Our favourite free activity was visiting the sea lions of Fanny Bay, talk about barky sea lions! Next time it’s a family ski vacation on nearby Mount Washington. 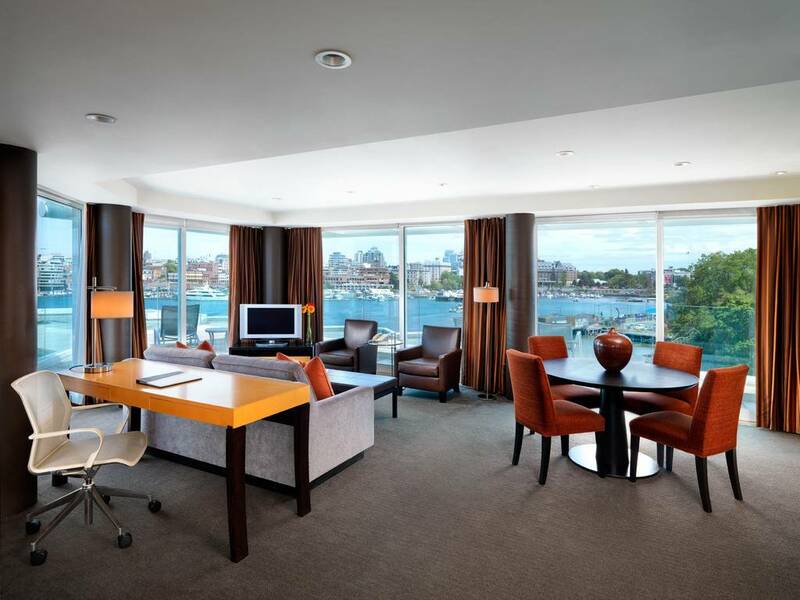 Some of the most upscale hotels on Vancouver Island can be found in the South Island region. Victoria is the capital of British Columbia as well as the island’s biggest city, so there’s quite a good amount of activity options to choose from. If you are in the mood to be in the middle of it all and have a comfortable 1st class hotel to indulge in, then Chateau Victoria may be what you are looking for. You can experience high-rise fine dining on the 18th floor at the Vista 18 restaurant. 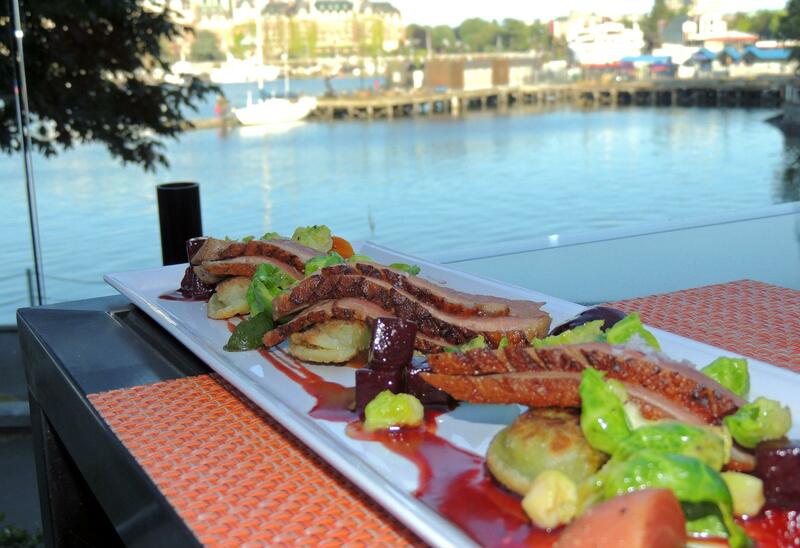 As the highest restaurant in all of Victoria, the views here are unmatched. Another unique amenity Chateau Victoria has to offer is Clives Classic Lounge. Clive’s has been recognized in the global cocktail community as one of the top 10 cocktail lounges in the world (Tales of the Cocktail 2011, 2012, and 2014). Chateau Victoria doesn’t have an on-site spa, but that didn’t matter one bit. A quick call to Victoria Spa Services brought a couples massage right to us in the comfort and privacy of our own room. Looking for things to do in the Victoria South Island Region on a romantic getaway or family holiday? Choose from our blog list of things to do in Victoria and you can get started on your Vancouver Island vacation planning. 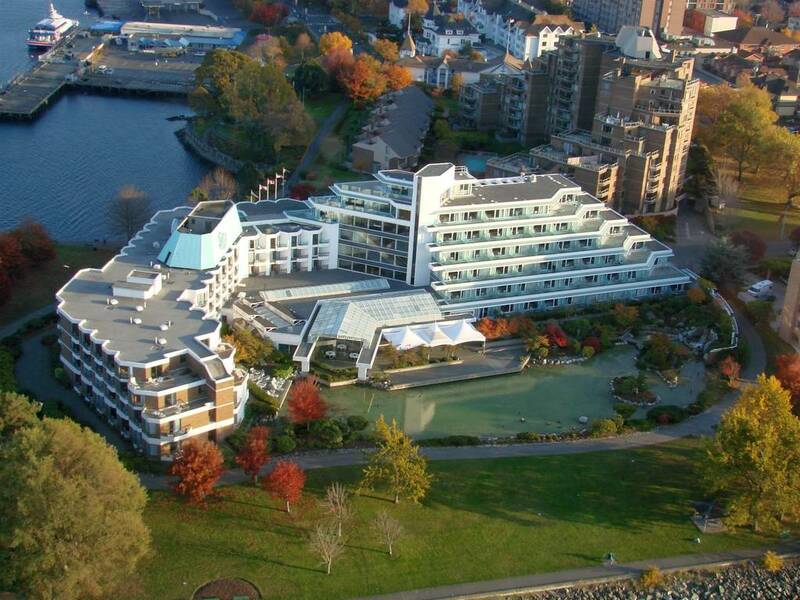 Prestige Oceanfront Resort is located in the South Island region of Vancouver Island in the seaside town of Sooke. Many vacationers and islanders alike don’t know how fast it is to get to the West Coast of Vancouver Island from Victoria or even the Cowichan Region. If you want to see the open ocean and play in the surf close to Victoria, then head on over to the Sooke area and enjoy countless beautiful and easily accessible beaches. Sooke offers whale watching, deep sea fishing, hiking, kayaking and many other amazing Vancouver Island experiences steps away from Prestige Oceanfront Resort. Our family’s absolute favourite was the tree top zip line adventure at AdrenaLINE. 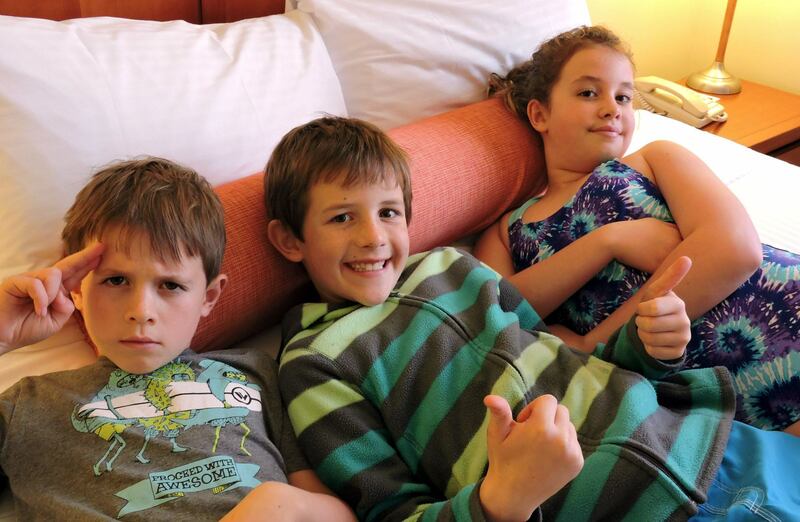 During our Vancouver Island family vacation to Sooke we experienced a 3 night stay at Prestige Oceanfront Resort. The resort is luxurious and boasts an inlet ocean view from right on the waters edge. We loved the unique decor of the hotel and inside our adjoining rooms. There’s an island ocean fresh and modern feel that we haven’t seen before on Vancouver Island. Experience friendly staff, a relaxing spa treatment at Oh Spa, family dining with an ocean view at West Coast Grill, and later in the evening indulge at Kesaki’s Wine and Raw Bar. You can even grab a coffee in the morning on the way out at their on-site coffeehouse. It’s hard not to be in the mood for a vacation to this Vancouver Island resort. Prestige Oceanfront Resort is also a Best Western Premiere so you know with two quality brand names like that you are sure to be treated right and enjoy a comfortable stay. 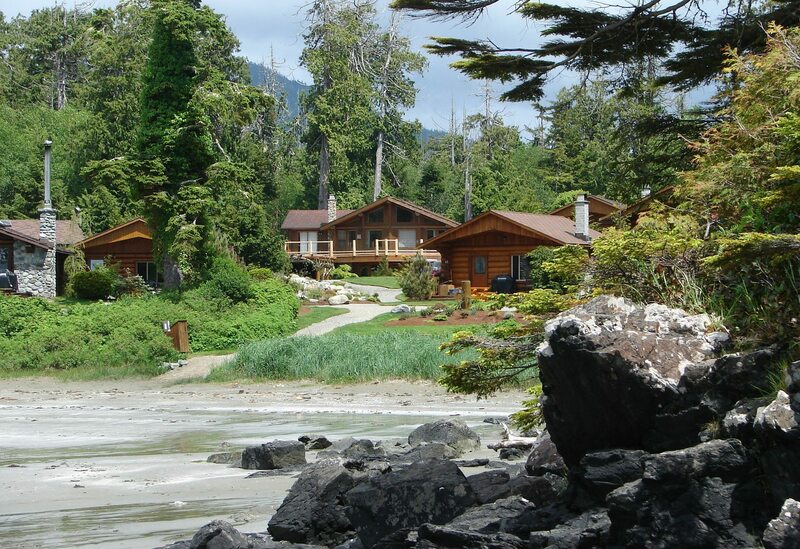 Tin Wis Beach Resort is located in the Pacific Rim Region of Vancouver Island only 3 kilometres outside of Tofino. The resort is on the pristine West Coast sandy beach of Mackenzie Beach. 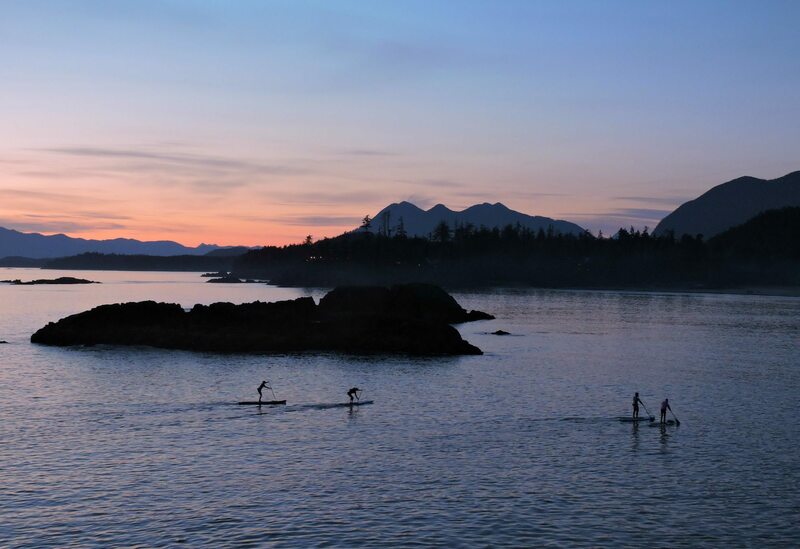 Tofino is NOT Vancouver Island’s best kept secret. 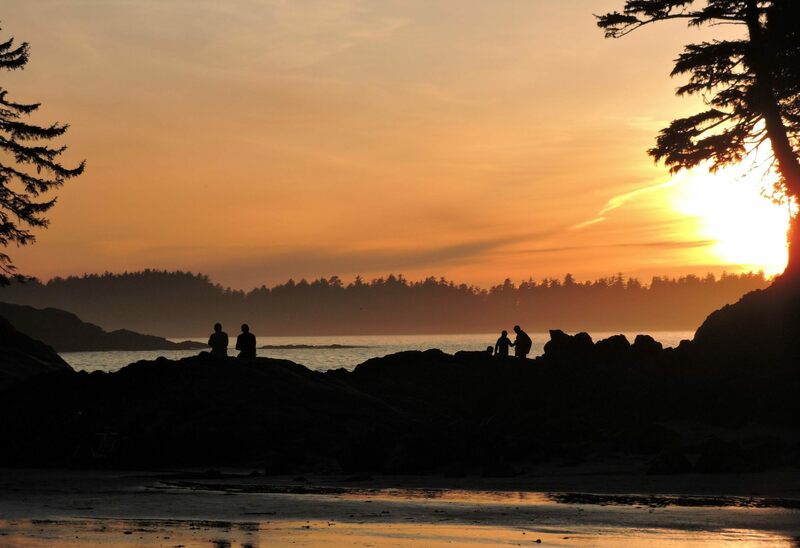 If you are planning your Vancouver Island vacation then Tofino will come up again and again as a must place to visit. I wouldn’t dispute that either, just know if you are traveling during peak summer season, you will not be off the beaten path. The Pacific Rim beaches are gorgeous and plentiful, the Vancouver Island activity options abound and the seafood is as fresh as it comes. We love hiking in the rainforests, surfing, beach playing, camping, bear watching, whale watching, dining, paddle boarding, kayaking and the list of things to do in the Tofino area can go on and on. We absolutely loved our 3 night stay at Tin Wis Beach Resort and recommend to our followers to stay here. This resort is also a Best Western, so you can take comfort in the standards to expect. Tin Wis Resort is unique because it’s the only Tofino resort that we know of that is situated right on a sandy and family friendly beach. Our adjoining rooms were close enough that we could easily see and hear the ocean waves rolling in from our sliding patio door. There was no packing the car and lugging everything to the beach on this Tofino vacation. 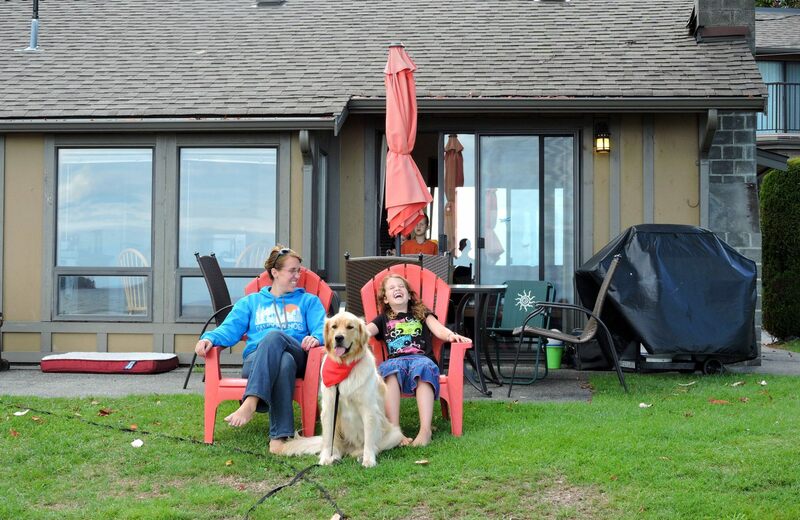 Having all the amenities of a hotel room, yet so close to a sandy beach was a big plus. Every room in the resort, and I mean every room, has a beautiful ocean view just steps away from the sand. One caution for you: The word “resort” means different things to different people. A resort in the tropics is nothing like a resort on Vancouver Island. So just because an accommodation is calling themselves a resort, doesn’t necessarily mean it will meet your definition. 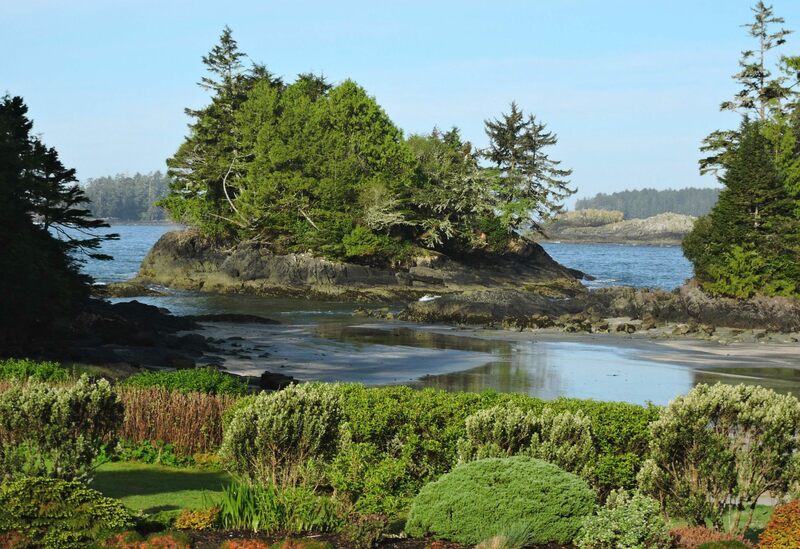 Crystal Cove is located in the Pacific Rim region of Vancouver Island just outside the island’s famous town of Tofino. Such a great resort for families and romantic getaways alike. Campfires down on the beach, hiking near by, boogie boarding in the waves and the private cozy oceanfront cabins of vacation dreams come true. A little more on the pricey side but if you can afford it and you’re looking for a luxurious beachfront island accommodation then this it! If you have any recommendations to add to our top places to stay on Vancouver Island please send them our way to add to the list.